Using a screwdriver, detach the 9 claws. Using a clip remover, detach the 2 clips and remove the garnish. 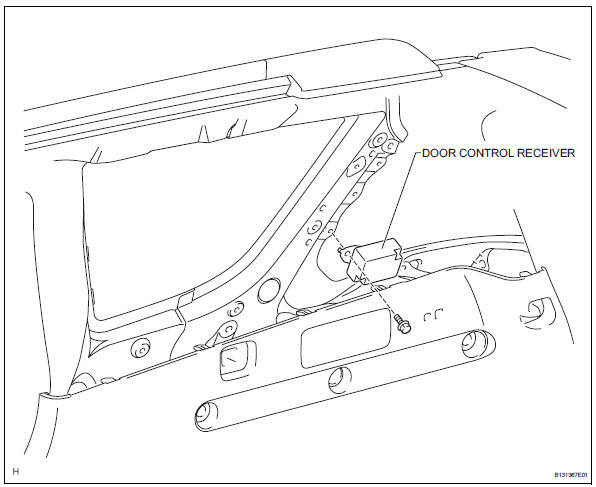 Remove rear floor no. 1 Board (w/o rear no. Remove no. 2 Seat hinge cover lh (w/ rear no. Remove no. 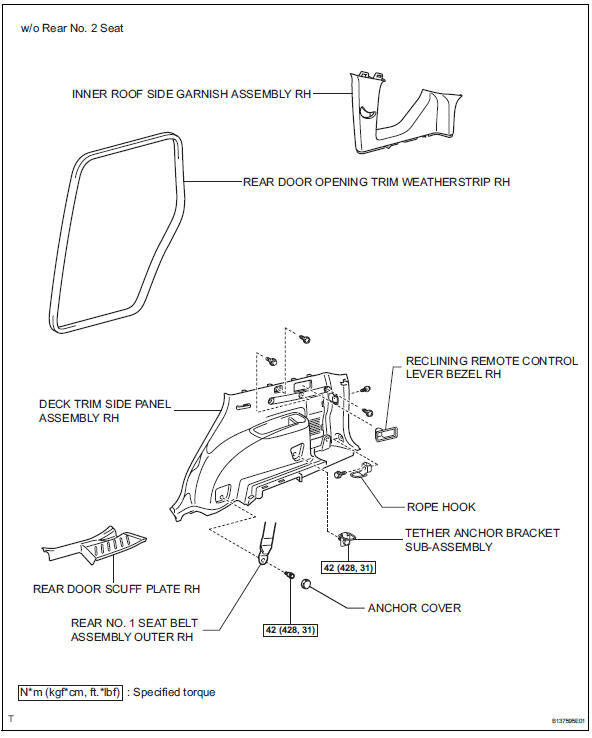 2 Seat hinge cover rh (w/ rear no. 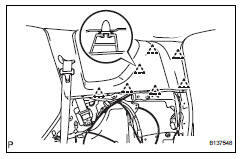 Remove rear deck trim cover rh (w/ rear no. 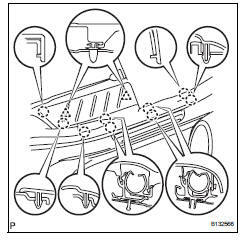 Using a screwdriver, detach the 4 claws and remove the trim cover. 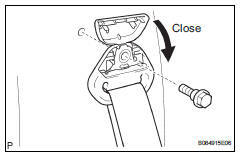 Remove the bolt and tether anchor bracket. Using a clip remover, detach the 7 clips and remove the garnish. Disconnect the rear no. 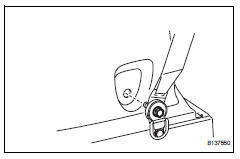 2 Seat outer belt's shoulder anchor. 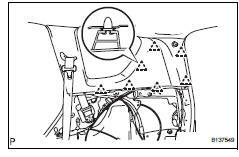 Using a screwdriver, detach the 2 claws and open the seat belt anchor cover. 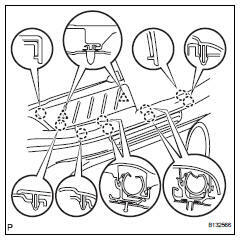 Remove the bolt and disconnect the shoulder anchor. Remove the bolt and receiver. 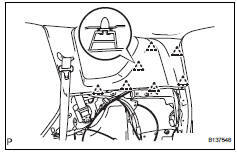 Install the receiver with the bolt. Attach the 7 clips to install the garnish. Attach the 7 slips to install the garnish. Connect the rear no. 2 Seat belt's shoulder anchor. Connect the shoulder anchor with the bolt. 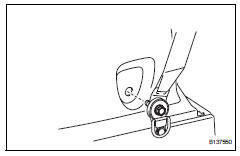 Attach the claws to close the seat belt anchor cover. 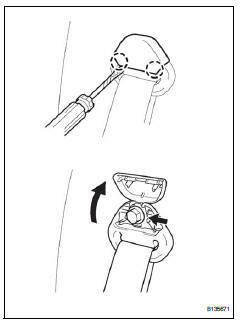 Install the tether anchor bracket with the bolt. 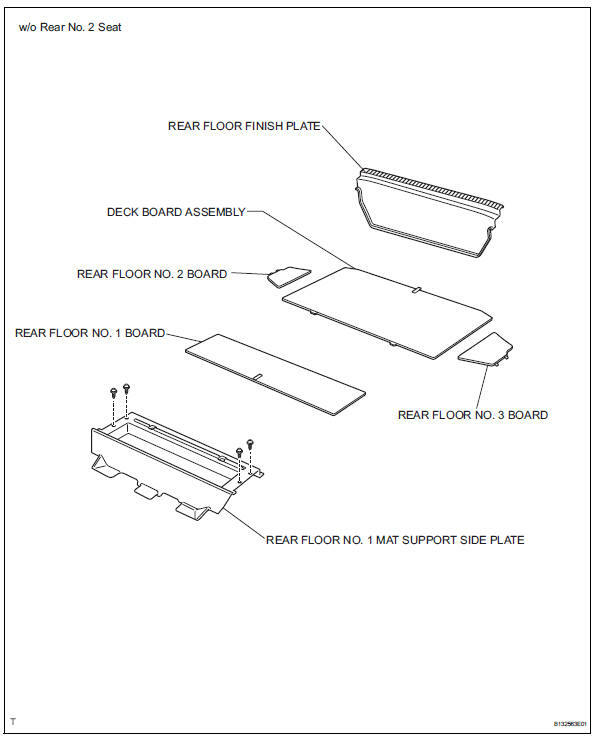 Install rear deck trim cover rh (w/ rear no. Attach the 4 claws to install the trim cover. Install no. 2 Seat hinge cover lh (w/ rear no. Install no. 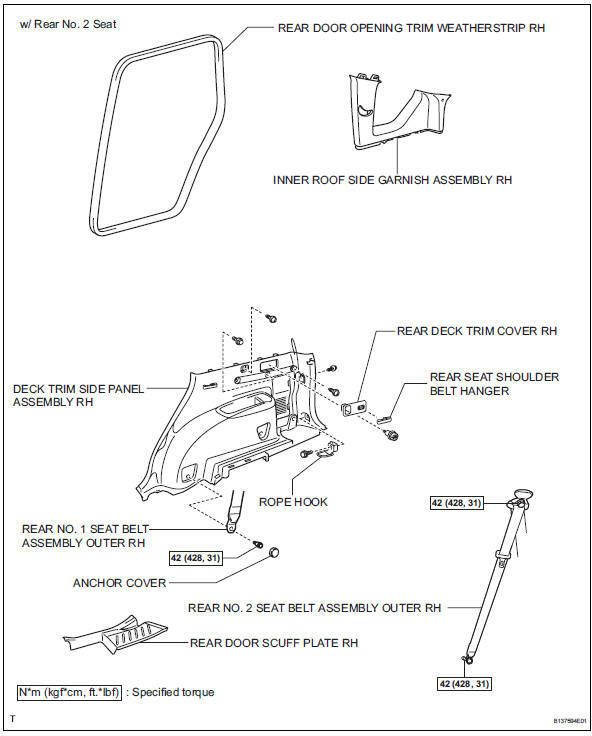 2 Seat hinge cover rh (w/ rear no. 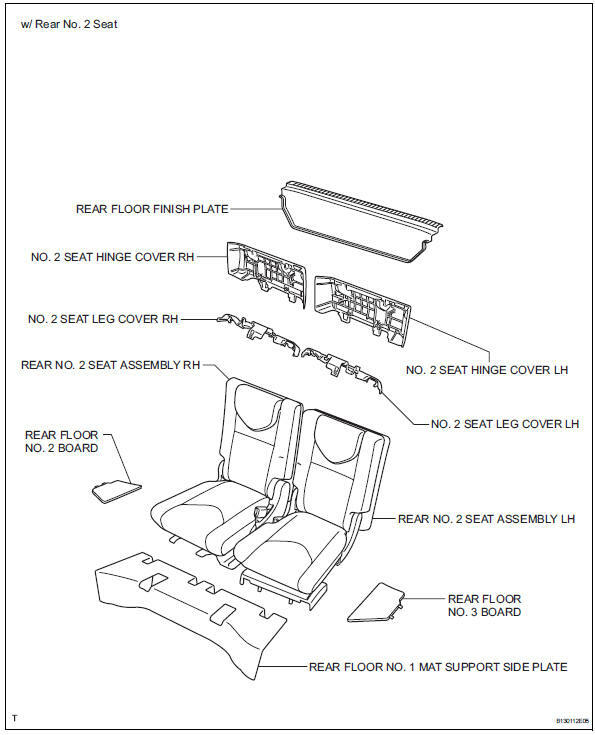 Install rear floor no. 1 Board (w/o rear no. Attach the 9 claws and 2 clips to install the scuff plate.